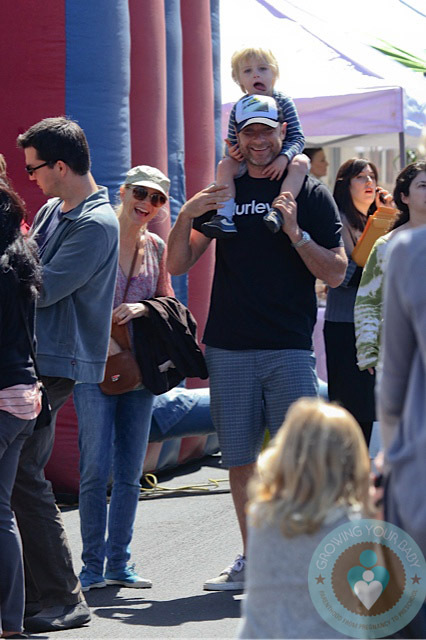 Liev Schreiber and Naomi Watts spent a leisurely Sunday out with their sons Sasha & Sammy at the market. The celebrity couple stayed fit by biking through Brentwood to the country mart with their boys in the back of a Burley bike carrier. At the market Sammy and Sasha took turns riding on their dad’s shoulders, while Naomi picked up fresh produce and flowers. The jet setting family has spent the last couple months in Australia. Naomi was busy filming The Grandmothers alongside Robin Wright. The movie finds the two actresses playing lifelong friends who fall for each other’s sons, which causes a rift in their relationship. Robbie Williams and wife Ayda Expecting a Baby Girl! Reese Witherspoon Runs Errands in LA!